Using a large tray and a foldable holder, the handmade wooden desk organizer keeps your items organized and deliver a neat and clean desktop. Like idea? Let’s keep checking. 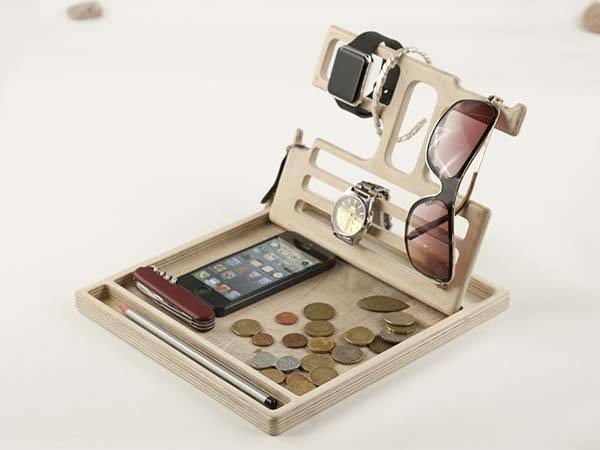 This is a versatile and practical desk organizer handcrafted by TreeSky, a small handicraft studio in Ukraine. When assembled, the organizer measures approx 9 x 10 x 7 inches. As we can see from the images, it shows off a simple and compact appearance design, and when not in use, the upright holder can be folded for easy storage. Meanwhile, the desk organizer is made of plywood for a durable construction, and its exterior shows charming wood grain. The base tray of the organizer is designed to hold your various small items and devices like smartphone, USB drive, keychain, coins and more, and a narrow groove works as a pen holder for your pens, pencils and Apple Pencil. Moreover, the upright holder features multiple slots in order to keep your sunglasses, Apple Watch, bracelets, necklaces, headphones in place for easy access. 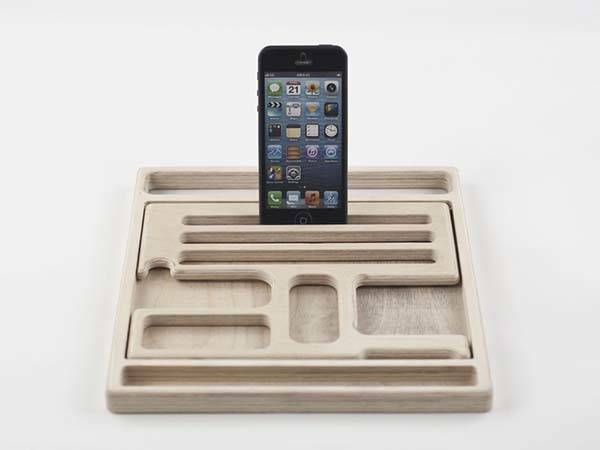 The handmade wooden desk organizer is priced at $29.99 USD. If you’re interested, jump to Etsy for its more details. BTW, don’t miss the handmade customizable desk organizer and more cool related gadgets by following tags.